Contact AM Graphix for your website or Joomla maintenance. BRANDING! Print, Web, Social, Swag - your brand should be the same everywhere! To your printer or fully managed. I give your business the advantages of having an in house brand manager and social media advisor (designer, purchasing agent and web/social media manager), without having to have one on staff. Working with me as your strategic partner gives you the advantages of in house Marketing and Web-Site Support. Social media - the buzz is everywhere but do you know how to use it to your advantage? How are you managing your "brand" online? Who has time for this? Are you engaging with your followers or still using the old "push marketing" and wondering why there isn't much action. Social media is about, well, being social. Let's get your info updated and coach you on how to better manage this. 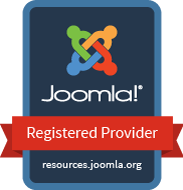 It's critical to keep your Joomla! website and extensions all up to date. The security of your website depends upon it. AM Graphix can take care of updates for you and monitor your site for one flat monthly fee. Let's set up a time to meet virtually or in person to discuss your business needs and goals and how I can partner with your business! Interested in signing up for the AM Graphix email? I use MailChimp for my email campaigns and will never compromise your security by sharing your email address. The emails contain information and special offers. The more I learn the more I realize I have so much to learn. I have set up a section of the site where I can share educational bits that I hope will help you with your business but also life.